It’s hard being a small business owner this time of year. The tax filing deadline is right around the corner, as April 17th is the date for individuals, sole proprietorships, partnerships, and many limited liability companies. Filing your business taxes can be a real learning curve, and might have you scrambling to find the right forms and dig out missing receipts. Sole proprietors need to fill out the long form 1040, along with Schedule C and Schedule SE. You don’t want to leave money on the table or open yourself up to a dreaded IRS audit. To ensure your sole proprietorship is handling its tax obligations the right way, read through these common sole proprietor tax mistakes below. For businesses, including sole proprietors, tax time isn’t just once a year. You’re required to pay estimated taxes on a quarterly basis. You get a free pass for the first year of your business, and there are certain other exceptions based on how much you make. But you’ll want to keep up with these quarterly payments, in order to avoid paying a penalty with your annual filing or to not have a big surprise come April 17. Many sole proprietors get into the practice of setting aside a percentage with each payment received (think of this like a self-imposed tax withholding). Then, when it’s time to make a quarterly payment, take stock of your profit/loss statement and estimate your quarterly bill accordingly. You can get help from a tax advisor to help you estimate these payments if needed. 2. Under Reporting Your Business Income After analyzing audits for tax year 2001, the IRS estimated that sole proprietors under reported business income by $68 billion (PDF). The report didn’t specify if the mistakes were intentional or unintentional. If you are a sole proprietor and paid more than $600 during the tax year, the business you worked for is required to send you a 1099-MISC stating your compensation. Keep in mind that the IRS will receive the exact same form, making it easy for them to determine if you failed to report the income. However, even if you don’t receive a 1099-MISC, you are still required to report that income. In addition, if you receive a 1099-MISC from a client and realize that the reported income is incorrect, you will need to contact the issuing business to correct the situation. And make sure you wait to receive the amended 1099-MISC before filing your taxes. Many sole proprietors get scared away from taking the home office deduction because they’ve been warned it’s a red flag for getting audited. But, if you are legitimately entitled to the deduction, you should take it, particularly because it can be a significant deduction. In order to qualify for the deduction, your home office needs to be used exclusively for business purposes, and nothing else. This could be a dedicated room, or even part of a room that’s used just for your business. 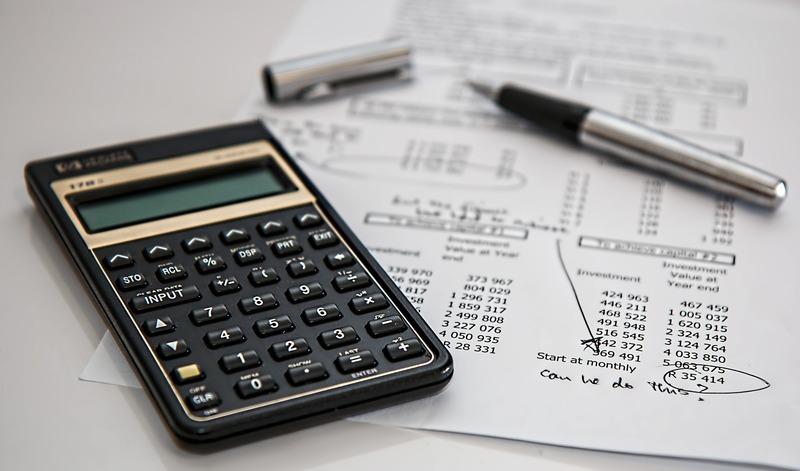 With the 2013 tax return, the IRS has introduced a simplified method for calculating the home office deduction that lets you measure your home office space and then multiply the square footage by $5. While this method will save you time, it may not necessarily be the most advantageous. That’s because the simplified method caps out at $1,500 max. Therefore, you should calculate the home office deduction using both the actual expense and simplified method and see which gives you the bigger deductction. Business gifts, such as a holiday presents or small token of appreciation, can be deducted as a business expense, but there is a catch. Only the first $25 per recipient is deductible. If you sent a client a $75 gift certificate, you can only deduct $25. And if you report $2,000 in deductible business gifts for the year, it means that you gave gifts to at least 80 different people during the year. Make sure you can back that up. Many sole proprietors get confused trying to figure out which business expenses are considered equipment vs. supplies. Supplies are things that get used during the year…printer ink, paper, envelopes, etc. Equipment typically are higher-value things that last longer than a year. Examples of equipment can include computers, software and office furniture. Supplies are reported on Schedule C, but equipment needs to be reported on Form 4562. With equipment purchased in 2013, you have the option to write off the full amount with your 2013 return (there is a max limit), or you can write off a portion for each year it’s in use. If you unintentionally deduct your equipment as supplies on Schedule C, the IRS might determine that you incorrectly reported the expense and you’re not entitled to the deduction. From the moment you launch a business, there’s a grab bag of deductible business expenses that you can take advantage of. There are big expenses, such as equipment, mobile phone plan, health insurance premiums and travel expenses to think about. In addition, sole proprietors should keep track of any miscellaneous expenses, as they can add up as well. For example, books, online courses, mileage to meet with clients, Web hosting, stamps, etc. The biggest mistake is failing to track these expenses throughout the year, and trying to gather every receipt or remember every trip when April 15 rolls around. Remember you can’t deduct what you can’t document: Try to keep up with your record keeping so you’re not leaving money on the table. Depending on their tax bracket and amount of self-employment taxes, sole proprietors may end up paying more in taxes than owners of a corporation. In this case, creating a C Corporation, S Corporation, or LLC that’s taxed like an S Corp could help lower their tax bill.